A dissident republican wanted by police over a murder plot has gone on the run to Thailand so he won’t have to spend Christmas behind bars. 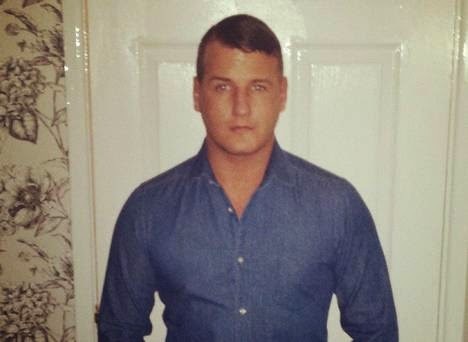 Tommy Diver, 26, fled to Bangkok to avoid an arrest warrant connected to alleged attack plans on the PSNI and prison officers. On-the-run Diver has taunted cops on Facebook, saying: “Thought I’d avoid internment by remand after the cops landed with a trumped-up arrest warrant, so I’m away for a while. Police want to question the top republican about alleged meetings of the Continuity IRA that took place inside a Newry bungalow which was secretly bugged by MI5. Cops have since called on three occasions to his west Belfast home with an arrest warrant. Diver refused to comment when Sunday Life contacted him in the Far East by phone on Thursday. But a pal said: “Tommy won’t be coming back. He has gone to Thailand to live permanently. It will suit him there because he loves to party. “The cops want him in connection with the recent dissident arrests in Newry,” added our source. Although mankini wearing Diver, who has a conviction for possessing a shotgun, refused to comment when spoken to by this newspaper he has been a lot more vocal on Facebook. Police want to question the prominent dissident republican about alleged meetings of the Continuity IRA that took place inside a bungalow at Ardcarn Park in Newry earlier this year. The property was secretly bugged by MI5 and detectives allege the recordings detail how the terror gang was planning attacks on police and prison officers. Ten men have since been charged with a series of offences based on what is supposed to have been said. Among them are prominent dissidents Patrick ‘Mooch’ Blair, 59, Liam Hannaway, 44, and 73-year-old Joe ‘Tiny’ Lynch. The last two men to be charged, 41-year-old Kevin Heaney and 54-year-old Terrance Marks, both of Newry, were remanded in custody on Thursday. 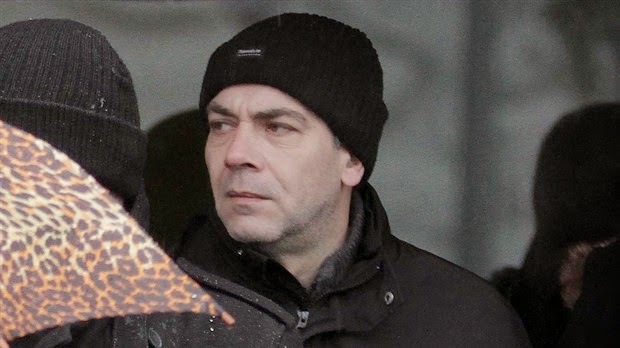 On Wednesday Newry court heard claims a man charged in connection with the plot is held in high regard by dissident republican leaders as a “world of information” on potential security force targets in Northern Ireland. Joseph Pearce, 44, from Bessbrook, allegedly provided specific details on police and prison officers to the leadership of the Continuity IRA, a prosecutor claimed. Police are now understood to be planning more arrests including that of Tommy Diver. Originally from Strabane, the well-known dissident was lifted by detectives earlier this year in connection with the Good Friday gangland assassination of ex-Continuity IRA chief Tommy Crossan in Belfast. Diver was later freed without charge and contacted this newspaper to brand his arrest a “joke”. In a previous interview with Sunday Life a defiant Diver rubbished claims that he was a dissident republican gunman. His denials came after he was arrested and questioned about seven paramilitary attacks in west Belfast.